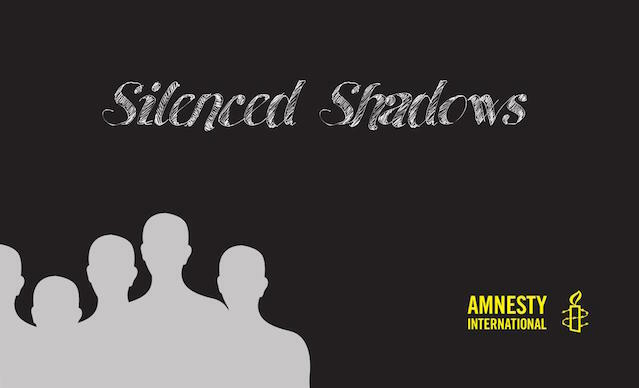 The Amnesty International has published a collection of poems titled ‘ Silenced Shadows’. It’s a collection of 15 poems and translations of the said poems into all three languages, Sinhalese, Tamil and English. Originally, Amnesty International called for poems on enforced disappearances in Sri Lanka and selected 15 poems for publication. 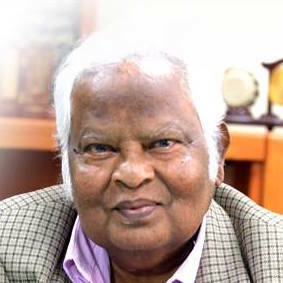 Five of the poems were written in Sinhala, five in Tamil and five in English. Now a very powerful collection of poems are available for readers in all the three languages. The 20th Century generated a genre of poems which are now known as compassionate and resistance poetry. This particular genre of poetry was a response of the creative minds throughout the world to the changed circumstances of the 20th Century which can also be characterised as the most brutalised century in the human history. As the life got more and more inhumane and forms of human cruelty became one of the most shocking experiences of this century, the creative minds responded in reasserted the basic human values and protested against the widespread brutalisation and dehumanisation. Sri Lanka was no exception to this general trend of decadence, violence and degrading the humanity and the human civilisation itself. Insurgencies And counterterrorism, both relied on violence in its most extreme forms and the result was a widespread fear that was spread through the entire country. South, and North and the East were all affected by forms of violence which was hitherto unknown in the island. This island which was once known as the paradise of the orient began to manifest many aspects of hell not only for many persons but for the nation as a whole. Most forceful expression of this situation was the enforced disappearances that took place in large scale in all parts of Sri Lanka. Enforced disappearances had all the characteristics of a perfected violence which combines extreme efficiency in execution of persons on the one hand and on the other, every form of the attempt to erase all evidence so that any attempt to ensure a justice to the victims will be almost impossible. Perfection of efficiency in execution is one of the most prominent aspects of 20th century violence. The gas chambers of the fascist regime of Hitler; the CHEKA of the socialist and communist Russia, ending also with the vast scale extrajudicial execution of persons and the most brutal forms of imprisonments known as the Gulag. Many other countries also saw various new forms of highly sophisticated violence and Israel became the agent of spreading such ideologies and techniques in that direction. In the Arab world, many forms of violence were experimented with both by international power blocks as well as local rulers and local insurgents known also as terrorists. A narration of all the experiences of most brutal forms of violence in the 20th and 21st centuries will be a task that would take a very long time and very many pages. It is suffice to say that there was a generalised situation of easily turning to the most efficient forms of execution of persons and also torturing of human beings. Sri Lanka is now known as the second in the list of countries where enforced disappearances have been widespread. This means there are tens and thousands of families and literally hundred thousands more individuals who are affected directly by the disappearances of persons who are either a family member or somebody who had been closely known as a friend or a neighbour. Vast number of persons in the country in all parts of the country, are carrying within themselves a deep forms of agony and suffering and anxieties and worries and above all an overwhelming sense of fear and distrust as a result of this widespread practice of enforced disappearances. The collection of poems, Silenced Shadows has placed in the hands of a reader a very rich and moving narratives that brings the reader to the close experience of those who have suffered from this form of brutality but the poets have placed this vastly traumatic experience within a humanistic perspective of enormous love for those who have suffered. The poets have become protesters. They protest in the name of most deeply held beliefs that they carry within themselves, such as deep love for their family members, a deeper love for humanity and a deep sense of disgust at the types of violence that the people have suffered in Sri Lanka. On a separate Article we will deal with the individual contributions of the poets and try to present the perspectives within these separate pieces of creative art. At this stage we would recommend this for all readers and we hope that the book will be available to everyone in Sri Lanka. As the books have versions in all there languages, Sinhala Tamil and English that rare the most spoken languages in Sir Lanka , the publishers of this book have made a very valuable contribution to a piece of very powerful creative writing which should hope to influence the thoughts of persons of all communities. Enforced disappearances in a theme that is a common experience of all irrespective what ideas, or ideologies and beliefs, and faiths that they may have. When the very foundations of humanity is being challenged, and when there are attempts to respond to such challenge in a powerful way by creative minds of community, it is the duty of the community to take a serious note of such expressions of very deeply concerned persons. We believe that this book is a suitable piece of material to be introduced to all schools, universities and educational institutions; particularly it should be among the texts that are used in education of law, political science and all social sciences. Also this is extremely useful as they could see how in the name of efficiency facilitated by modern science extreme acts of brutality is being committed and reflecting on such experiences they could form their own perspectives about what contributions that they could make in order to avoid such terrible experiences. The book will also be very extremely useful for all those who are leading opinion in Sri Lanka. The kind of in-depth reflections that is found in these poems will help to improve the quality of writing in all three languages and thereby help to generate a new reflections and new forms of enlightenment in this island which has unfortunately faced very hard experiences in eh recent decades. From the description, this book appears to be a gross insult to this Dharmadwipa which practices the Rule of Law according to the Tenets of Justice laid by the Lord Buddha, as his sayings which constitute the Religion of Buddhism, is/are enshrined in “the foremost place” in all constitutions so far. This book should be banned. Thank you Basil for this review. I will buy the book and read it carefully. However, the is a big problem with the peace building INGOs, international community and Colombo NGOs who are on the peace and reconciliation band wagon, and have turned a blind eye to Corruption, Financial Crime and the lack of ECONOMIC Justice and ECONOMIC RIGHTS in Sri Lanka, You folk, Amnesty and the Crisis groups only keep talking about war and political violence, not economic and STRUCTURAL violence or POVERTY and INEQUALITY. The fact is that you Peace I/NGOs need to be smarter and connect Economic Rights and Justice to political rights, but western funded NGOs do not talk about Economic Justice and Rights, because the west has been systematically looting the global South and turning a blind eye on Financial Crime and off shore bank accounts; This is why as OXFAM reprot 8 individuals own half the world’s wealth. In Sri Lanka Attacks on minorities are routinely organized by corrupt politicians to distract people from their corruption. Once the corrupt who are also MOST RACIST are put behind bars reconciliation and peace will be easier in Sri Lanka. Peace NGOs should protest against the clown WIjedasa Jarapassa must be removed from the Ministry of Justice so that past and present corruption cases that he is blocking can proceeed. political crime is only a sub-set of Financial Crime, Economic INEQUALITY and Structural Violence. In Sri Lanka corrupt politicians use Racism and hate speech against minorities to DISTRACT the masses from their corruption and crimes, and DIVIDE and RULE the masses. Peace and Reconciliation i NGOS and Civil society need to rethink their strategy and push for ACCOUNTABILITY FOR Financial Crimes and Corruption, because this is at the root of Political Violence. I am sorry to say that THE BUCK STOPS AT RANIL Wickramasinghe. The Bond scam and Ranil’s attempt to block investigation has cost so much time and energy of Govt. civil society, and PROFESSIONALS, that should have been spent on Development Policy planning, implementation and DUE DILIGENCE to uplift Lanka and build reconciliation. But today RECONCILIATION and development process is driven by external parties, IMF, US, China, while public debate and energy in Lanka is hostage to Ranil’s bond scam and his corrupt Cabinet, with Swaminathan and Wijedasa Rajapassa among the worst thieves and scoundrels. We need to name and shame Bond Scam Ranil Wickramasinghe as the fountainhead of corruption in the Parliament of corrupt clowns who are only interested in protecting their Parliamentary PRIVILEGES and their Right to loot Sri Lankan people while blocking corruption investigations. Majority of UNP and SLFP politicians are Parasites on the body politic and sad to say Ranil Wickramasinghe is accountable for the culture of corruption and impunity. He protects Mahinda Rajapaksa because he, Ranil, himself is corrupt. At a future date Ranil and Mahinda Jarapassa must share the same Prison Cell for Economic Crimes against the people of Lanka and the China-IMF Debt Trap the county is in. They are accountable for the Culture of impunity for Corruption that is endemic and entrenched among politicians and their cronies. The failure to hold anyone accountable for FINANCIAL CRIMES is also due to the IMF and US led global economic system which benefits the global 1 percent and the United States and Europe. Financial Crimes and criminals have immunity and are rewarded in the United States a country where the president has not declared tax returns and bankers who triggered the global financial melt down are rewarded with massive bonuses. Ranil Wickramasinghe dances to the tunes of his US Harvard University Economic hit men who never talk about Financial Crime of ECONOMIC INEQUALITY. This is because US economy and its network of off shore tax havens profit massively from corruption in Sri Lanka and other Global South countries. Amnesty International is just another INGO singing for their supper. Strange that Basil is now singing their praises because when I worked for him he had little if any respect for them. How many “enforced” disappearances have occurred in Sri lanka since the end of terrorist war in 2009? Are they in thousands, hundreds, tens or single digits? Has any one published a full list of all who have “disappeared”? Until such information is available there is no reason why anybody should lose sleep over this. In civilized countries there is no army terrorizing the minorities especially several years after the war is concluded. The army occupation of the north,subjugation of minorities,forceful colonization and rampant disregard for children abducted from families by armed forces are trivial matters for the Sinhala-Buddhist majority. You can see that from comments given above by people like “Eusense”. The present government has only two objectives. One is not to displease the Sinhala-Buddhist majority community the other is to bluff the western governmennts. But truth will prevail. Did Buddha say this? stand personified in our Island Today. The Bond the people had for UNP has bounced back. Lost the Name and now gained only Shame. Rule my Island with Dignity. Basil F’do blowing hot and cold with the same breath with Amnesty International. AHRC & Amnesty strange bed fellows now. Just in politics.